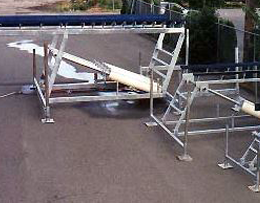 Boat Lift | Aqua-Lift, Inc. The World's Most Environmentally Friendly Boat Lift! 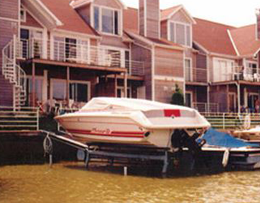 Aqua-Lift® is the original manufacturer of water hydraulic boat lifts. We have the cleanest, simplest, and easiest to operate boat lifts on the market — they do not use motors, cables, or pilings. 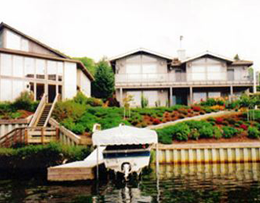 Aqua-Lifts® are simply powered by average water supply; they do not use oil, which can be hazardous to our waterways. These lifts also allow you to store your boat out of the water without the use of bumpers and tie-off lines, which protect your boat from unnecessary damage. Call our Puyallup, Washington, at location today at (253) 845-4010 for a free brochure, and please mention that you saw our website. Become an authorized Aqua-Lift® dealer today! 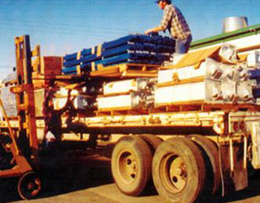 Family-owned-and-operated since 1982, we are the original inventor and manufacturer of the world's first water hydraulic boat lift — the Aqua-Lift®. A "green" product, it is the lowest-to-maintain lift on the market and works equally well in fresh or salt water. If you are interested in becoming an Authorized Aqua-Lift® Dealer, call us today and ask how.